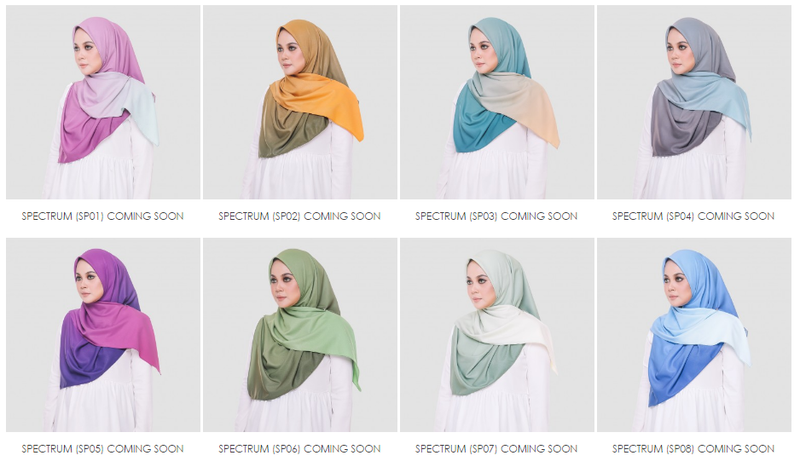 Ameera Zaini, mommy to be and a tv presenter launch with more collection in her hijab line. This time it is called AZSpectrum. Comes in 8 different colors to chooe from. It said that this collection was inspired by the rainbows. Each of the hijab spectrum describes the colour of life, where the shades switch at every stage. In the beauty world, we call this duochrome eyeshadow! Each hijab will be packed in theri exclusive classic black & white box. I got myself the Spectrum SP01 & SP06. Each of the hijab has a metal tag at the end. Looks so exclusive and can I tell you how soft and comfortable the hijab is. It is not see through and flows nicely on the shoulder.